Ceylan joined Philcox Gray in 2017 as a trainee solicitor in our family department. Prior to this she worked as a family paralegal at Imran Khan & Partners. She then moved to work as a Client Account Manager for a financial data management company, managing a number of local authority and private clients. Ceylan studied for her law degree at the University of Kent. Whilst at University, she volunteered at her local Citizens Advice Bureau assisting caseworkers giving advice to clients on a number of welfare issues. Ceylan then studied for her LPC at BBP Law School in Holborn, achieving a distinction. While studying she was a student representative for the Student Liaison Committee. 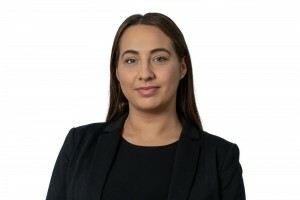 Ceylan is interested in all areas of family law with a particularly keen interest in public and private children law.